Arranged in a decorative and reusable tin tub, and adorned with a hand-tied bow. 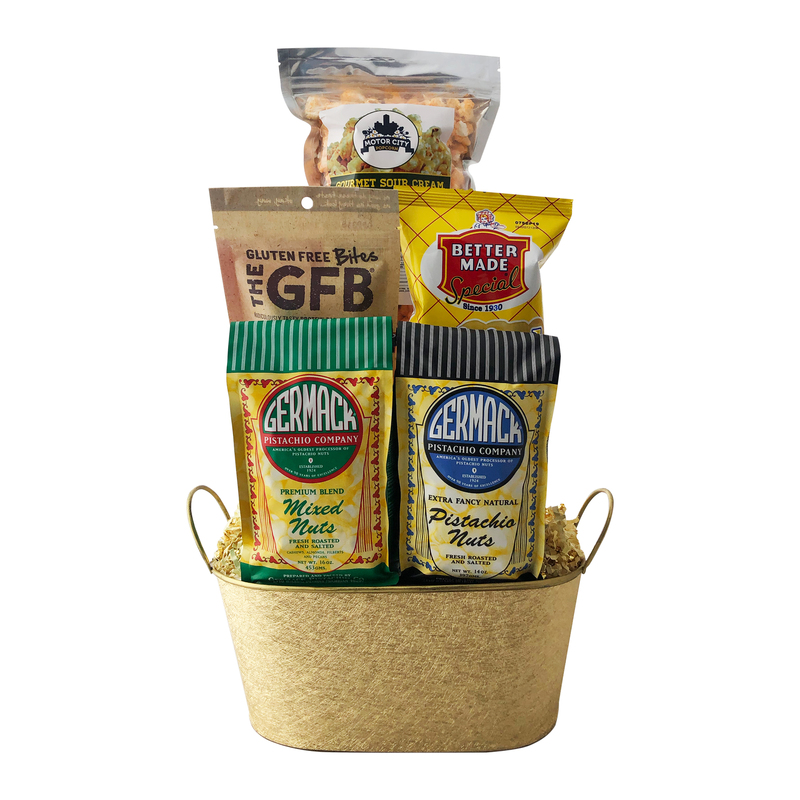 For corporate orders or orders containing multiple baskets please call us at 313-784-9484. We reserve the right to substitute an item of equal value in the event we run out of any item. It is guaranteed to be super fabulous!